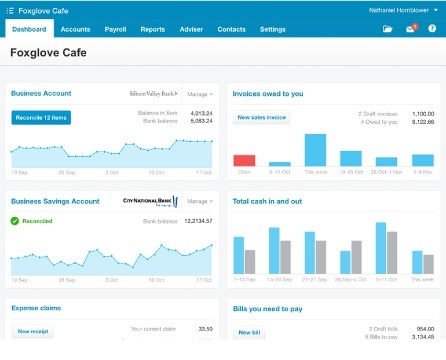 With Xero and WorkflowMax you have everything you need to maximise your business performance. 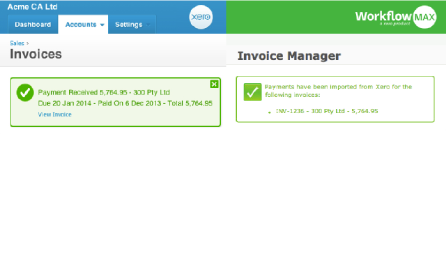 Once an invoice is marked paid in Xero, this is automatically updated in WorkflowMax. You can now see all the payment details against your jobs. 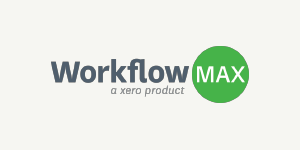 Data moves between Xero and WorkflowMax with a single click. Eliminate unnecessary admin work and spend your time on more important tasks. 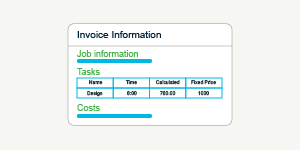 Send purchase orders and receipt supplier invoices in WorkflowMax in just a few clicks. Powerful insights across your business, at your fingertips. If I create an invoice in Xero can this be linked to a job in WorkflowMax? You sure can, but you’ll need to upgrade your account to WorkflowMax Premium. 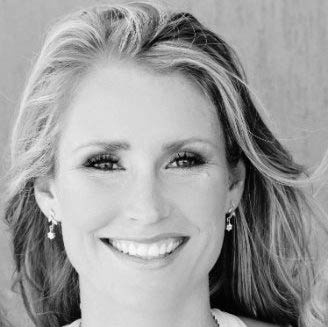 To find out more about the benefits that Premium provides or get set up, contact one of our product specialists. What happens if I accidentally delete my invoice in WorkflowMax? If you delete invoice in WorkflowMax, as long as no payment against it, will void it in Xero as well. Why is the client naming convention different in WorkflowMax and Xero? Client names come over to xero in the last name field. 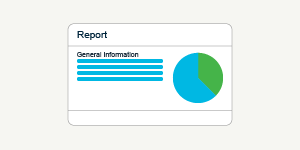 At present this is simply how the data exports to Xero. 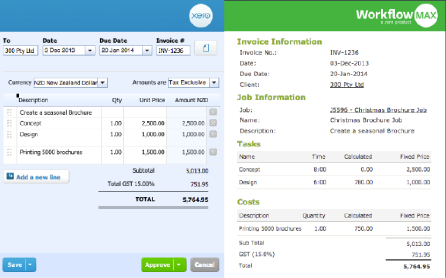 If we edit an invoice in WorkflowMax, will this automatically edit the invoice in Xero? Once an invoice has been approved in WorkflowMax and the invoice has been created in Xero, further changes to the invoice in WorkflowMax do not flow through to Xero. You will either have to manually edit the invoice in Xero while still in its draft format or cancel (don't delete!) it in WorkflowMax. Doing the latter will cancel the invoice in Xero and make all time and costs available for re-invoicing. You’ll be able to simply re-issue the edited invoice. Find out more about WorkflowMax and invoicing in Xero in this 2:31 min video or contact one of our product specialists for help. I can’t see my invoices in the system, what’s going on? The importing of invoices into WorkflowMax from Xero happens overnight and depending on the number of transactions being processed that night can take some time to complete at certain times. If I raise purchase orders in WorkflowMax why aren’t they pushed through to Xero? Purchase Orders are just requests to purchase something. The transaction doesn't happen until you receipt the supplier invoice against the Purchase Order. 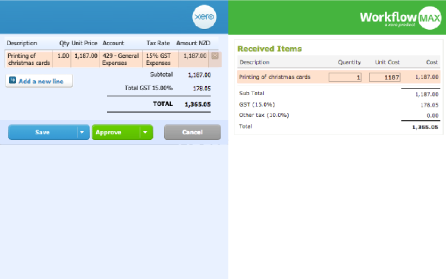 At that time WorkflowMax will push the supplier invoice to Xero. Payment from Xero to WorkflowMax happens overnight. If you need to reconcile immediately, there is also a manual “import payments” option. Contact one of our product specialists for help.